After many years of recording and performing as a bass player and vocalist with a variety of artists including Patti LaBelle, Booker T., Bonnie Raitt and the House of Blues band, Tom chose to focus his attention on producing and recording. Since that time his credits include multiple records with Bonnie Raitt, Kris Kristofferson's “Broken Freedom Song”, his self-produced release Mostly Dylan” and Stevie Wonder's most recent album “A Time to Love". 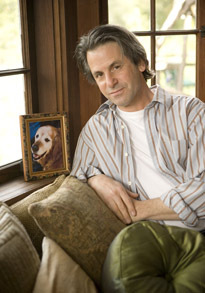 Mostly Bob evolved out of an email Tom wrote the day after the sudden passing of his beloved Golden Retriever Bob. 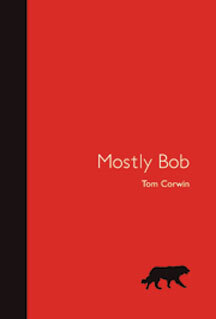 It was originally written as a personal note to his friends and family in tribute to Bob’s amazing life. Unbeknownst to Tom, the email took on a momentum of its own as it was circulated by his friends to theirs. When months later, friend and author Leslie McGuirk suggested that the letter should really be a book, Tom found himself lost in the creative process of designing and hand building a prototype of the book. This finished sample made its way to New World Library, who published the book identical to its original design.